Kanazawa has several excellent ryokan (traditional Japanese inns) and it’s a good place to try the ryokan experience. 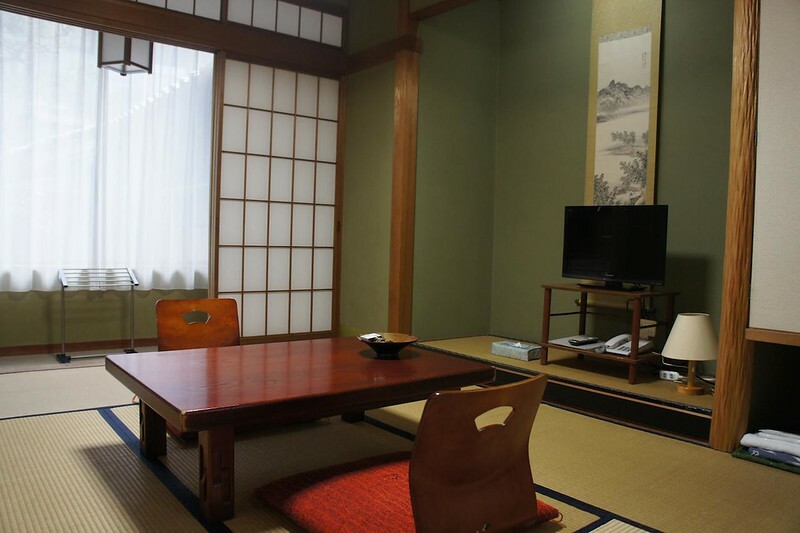 Ryokan are a good choice for those who want a break from hotels or for those traveling with children who need a room that can accommodate everyone. All of these ryokan can be found on our Kanazawa Google Map. This welcoming and reasonably priced ryokan near Kanazawa Castle Park is a great place to sample the ryokan experience. The hosts speak English and will make you feel right at home. The optional breakfasts are excellent. :: Check pricing and availability for Sumiyoshiya at Booking.com or Agoda.com. Within relatively easy walking distance of the sights, the Murataya is a good ryokan with competitive rates. It’s a good option for families because you can get everyone in the same room (in futons on the tatami mats). :: Check availability and pricing for Murataya on Booking.com or Agoda.com. The Asadaya is the top luxury ryokan in Kanazawa and this is the top pick for a first-class ryokan experience in the city. The rooms and the food are superb and the location is very convenient to the sights.